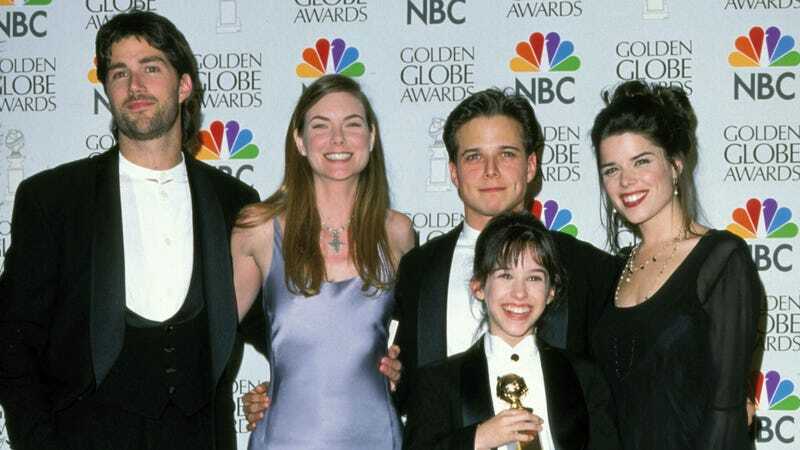 According to The Hollywood Reporter, classic ‘90s drama Party Of Five might be coming back with a timely reboot from original creators Chris Keyser and Amy Lippman. The original show was about five siblings who have to keep their family together after their parents are killed in a car crash, and while that’s not particularly outdated, the new version will change it into a “first-generation Latino family” that immigrated to the United States and is now “living through the highs and lows as they learn to make it in a new country.” Interestingly, The Hollywood Reporter says that the fate of the parents in this version “is being kept under wraps,” so maybe this will end up taking a very timely turn by touching on some of the immigration stuff that Donald Trump has been doing. This reboot is still pretty early, with THR pointing out that no network is attached and that Sony Pictures Television Studios hasn’t even officially heard the pitch yet, so there’s a very good chance that nothing will actually come of this.